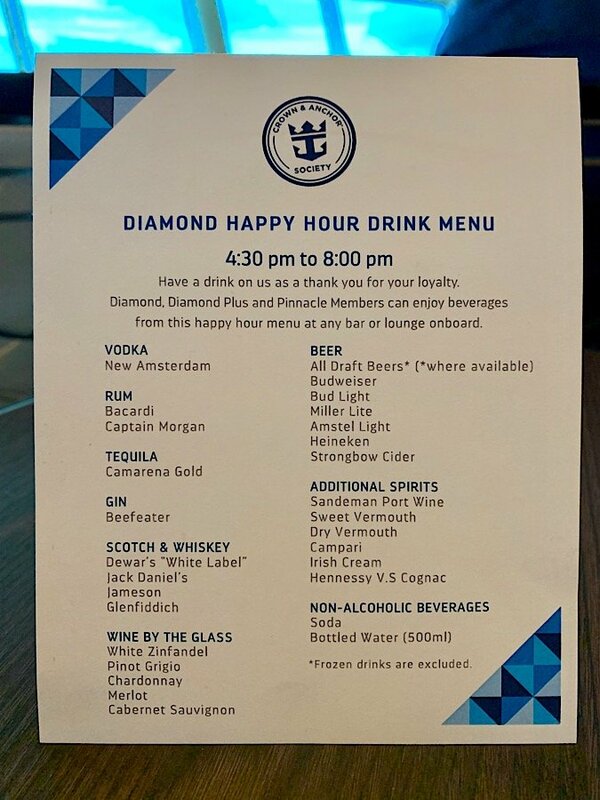 Royal Caribbean has updated the Diamond member happy hour drink menu on Independence of the Seas, which features a new look and a few additions. Royal Caribbean Blog reader Twangster shared a photo of the new menu while onboard Independence of the Seas. Glenfiddich scotch has been added to the menu, along with Captain Morgan rum. Each evening, Royal Caribbean offers complimentary alcoholic and non-alcoholic beverages in its Diamond lounges for Diamond, Diamond Plus and Pinnacle members. In addition, Diamond members and above receive three complimentary drink vouchers to use at bars and lounges around the ship during the same time. Veteran Royal Caribbean cruisers will be sad to hear the announcement today that Royal Caribbean's Crown and Anchor Member Director, Millie Quiles, will be stepping down from the role. 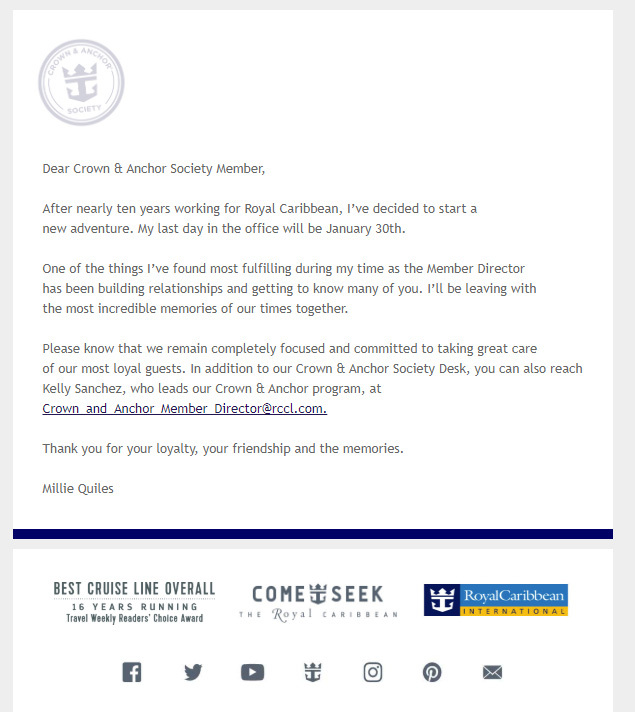 In an email sent to Crown and Anchor Society members, Quiles announced her last day on the job will be January 30th. "After nearly ten years working for Royal Caribbean, I’ve decided to start a new adventure. My last day in the office will be January 30th." "Please know that we remain completely focused and committed to taking great care of our most loyal guests. 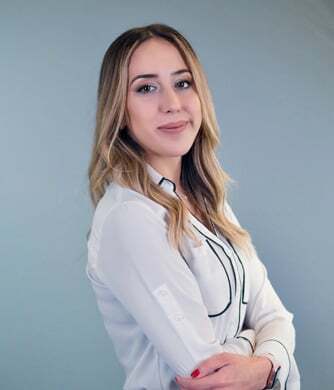 In addition to our Crown & Anchor Society Desk, you can also reach Kelly Sanchez, who leads our Crown & Anchor program, at Crown_and_Anchor_Member_Director@rccl.com." No word yet on who, if anyone, will take her place. Royal Caribbean's Crown and Anchor Society is inviting cruisers to vote on their favorite photograph to display in the Diamond Lounge on Symphony of the Seas. Cruisers can log onto Facebook to vote among the nine entries on the Crown and Anchor Society Facebook page. Royal Caribbean is testing a new means for Diamond level guests to receive their complimentary beverages each evening. Onboard Majesty of the Seas, Royal Caribbean Blog reader Nick Vitani shared this photo of a notice given to guests who are at least Diamond level in Royal Caribbean's Crown and Anchor Society. 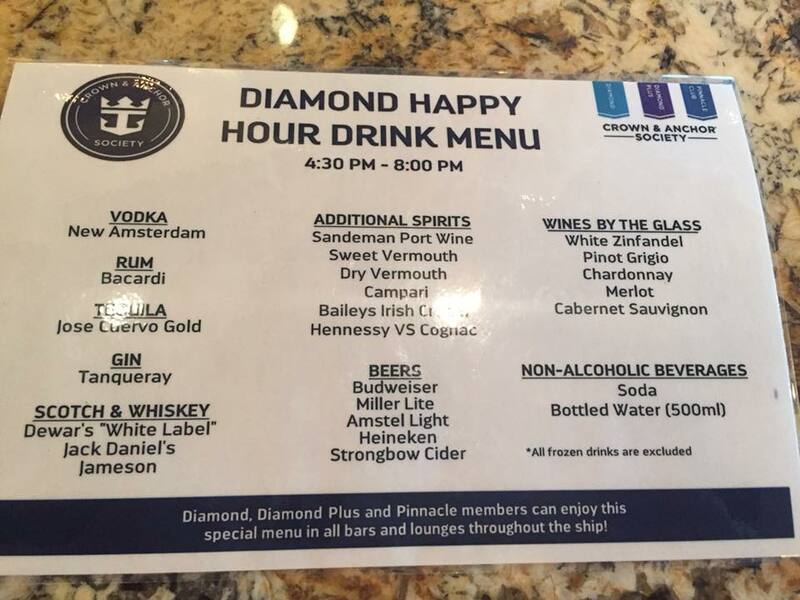 The note advises guests that a pilot program is in effect, where guests that go to the Viking Crown Lounge for their complimentary Diamond beverages will be required to swipe their SeaPass card. 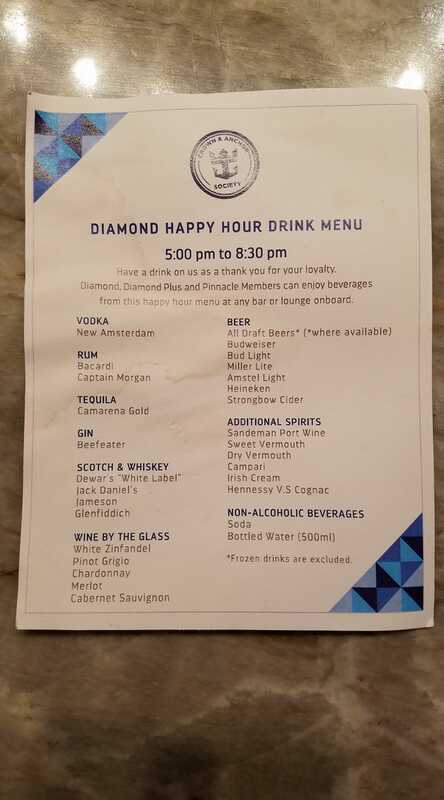 There is no charge for these drinks, but the note states the test is, "to better understand the level of service we are providing during the nightly Diamond event." Each evening, Royal Caribbean offers complimentary alcoholic beverages in its Diamond lounges for Diamond members and above. In addition, Diamond members and above receive three complimentary drink vouchers to use at bars and lounges around the ship during the same time. There is no change in how the drink vouchers are being redeemed as part of this test. This is the first occurrence of this test we have heard about on any ship in the fleet. Royal Caribbean's customer loyalty program is offering up to $1000 off suites on Oasis class sailings, departing July 10 - September 30, 2017. Crown & Anchor Society members with a valid membership number of Gold or higher status can take advantage of this deal onboard Oasis of the Seas, Allure of the Seas and Harmony of the Seas sailings booked between June 9-30, 2017 and departing between July 10 and September 30, 2017. The promotion is combinable with 60% off your second guest and 30% off third and fourth guests. BOGO60 is combinable with Kids Sail Free, Crown & Anchor Balcony & Suite Discount, Crown & Anchor Suite Instant Savings, Next Cruise offers, and Shareholders benefits. Not combinable with any other offer, restricted rate, or promotion. The Crown & Anchor Suite Instant Savings is combinable with BOGO60 and Kids Sail Free and is not combinable with Crown & Anchor Balcony & Suite Discount, restricted rates or any other offer or promotion. Offer open to residents of the U.S. and Canada. Royal Caribbean's customer loyalty program, the Crown and Anchor Society, is inviting anyone that enjoys taking a Royal Caribbean cruise to sail on Anthem of the Seas for a fun celebration at sea. The special event is taking place on the March 26, 2017 Anthem of the Seas sailing out of Bayonne, New Jersey. Crown and Anchor Society made the announcement on its Facebook page, and describes the event, "Join our Crown & Anchor Society Member Director Millie for a Bahamas getaway onboard Anthem of the Seas on March 26th! We'll have great activities going on, so stay tuned for more details." Guests can book the cruise through their usual travel agent or directly with Royal Caribbean, although they are encouraged to register in order to participate in onboard events. 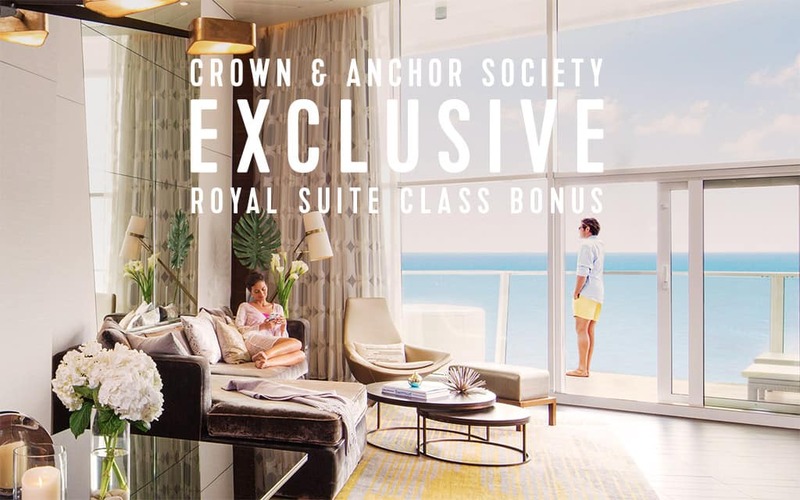 Royal Caribbean's customer loyalty program, the Crown and Anchor Society, provides guests with some great rewards for being, "loyal to Royal" and cruising again and again with the company. The benefits have always been a compelling reason to continue cruising with Royal Caribbean, and great incentive to move up the ranks of the Crown and Anchor Society to enjoy the top-tier benefits available. Of the many Crown & Anchor benefits available to guests, one of the most popular are the onboard discounts that are pre-loaded onto each SeaPass account. How lucrative are these Crown and Anchor discounts and how much money could they save you on your next sailing? These are the sort of questions you might be wondering too, so here is our cost benefits of the Crown and Anchor Society, broken down by each level. 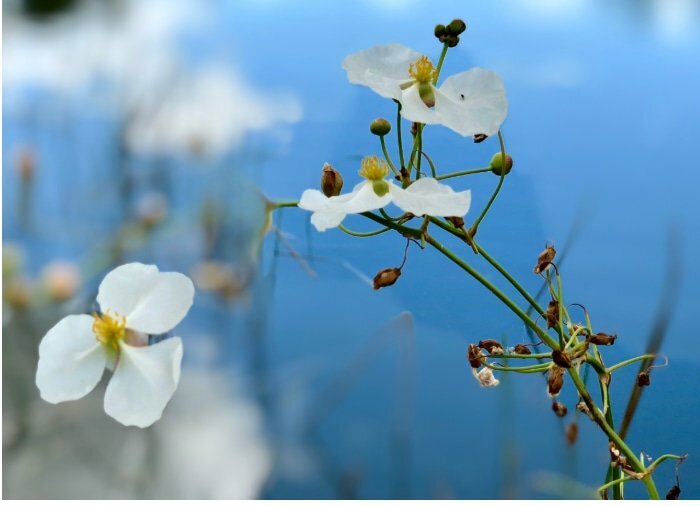 In order to calculate these benefits into dollars and cents, we looked at the perks available to members before and during their cruise and tried our best to assign a monetary value based on what they offer. Some benefits are a bit too intangible to assign an exact amount to, but we estimated as fairly as possible. In many cases, there are discounts that can very greatly depending on what you actually order (internet package discounts, spa treatment discounts, etc) and we did the best job to offer a median discount, or something close to average. We did note in these situations what we picked to be clear. For any discounts related to specialty restaurants, we picked Giovanni's Table as our example because the price is the same across the fleet. Please note all discounts listed were accurate to the best of our knowledge at the time of posting and these discounts can change at anytime. Two free Spin to Win at the Casino: $0 (Most likely prizes are trinkets of nearly zero value like keychains, and even then getting a "prize" is unlikely). Three free Spin to Win at the Casino: $3 (We assume one wins a keychain with three spins, we'll give a $1 value). Three free Spin to Win at the Casino: $1 (We assume one wins a keychain with three spins, we'll give a $1 value). It should be noted that barely any guests will ever use every single discount on a cruise. In fact, many discounts go rarely used by guests. However, this blog post aimed to consider how much potential savings one can take advantage of, as well as the sheer number of discounts Royal Caribbean rewards its loyal customers with. Not surprisingly, the potential savings jump the most when guests reach Diamond level. The lucrative savings really add up in the top-tier levels, providing further incentive to return for another cruise. There are plenty more benefits provided by Crown and Anchor Society that are arguably more important than those listed here. 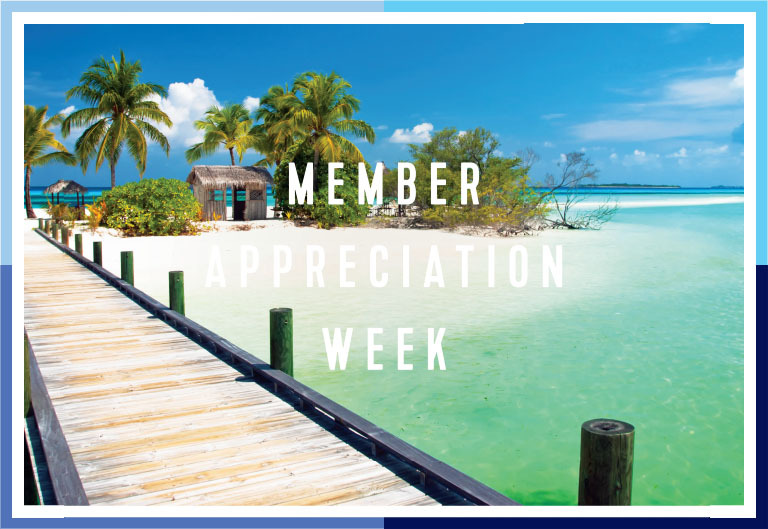 Royal Caribbean is celebrating Crown and Anchor Society Member Appreciation Week by giving all Crown & Anchor Society members an exclusive perk to celebrate. From August 15-22, 2016, all tiers will enjoy balconies and suites discounts for the tier above them on sailings departing on or after August 17, 2016, and it is combinable with our current offer of 30% off every ship, every guest! Gold, Platinum, Emerald, Diamond, Diamond Plus, and Pinnacle Crown & Anchor Society member will receive an increased discount for making a reservation for a sail date outside of six months.